I chose to take a look at Facebook, as feel this could do with an update. The current sign-up page is very dated and doesn't really give a feel for what the website is about. 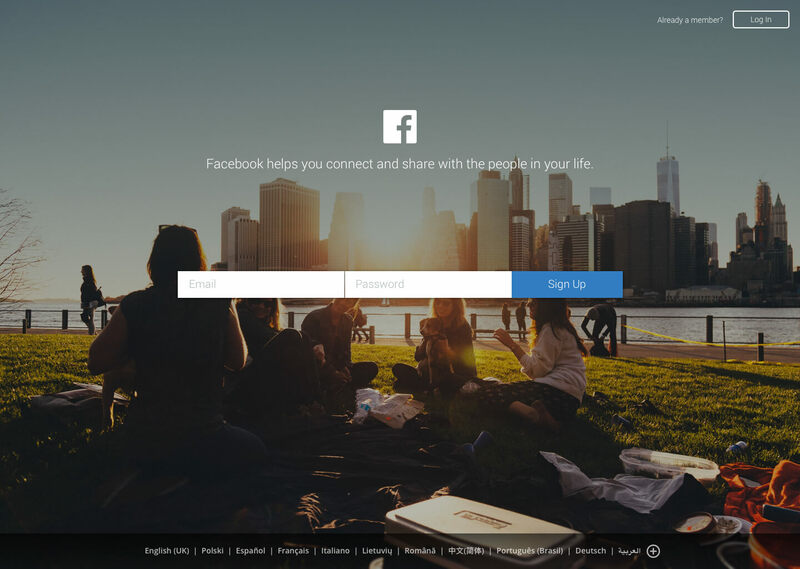 Their latest ad campaigns are very much about friendships and communication, with heavy use of rich imagery - none of which is reflected in the current Facebook sign-up page. The Facebook design team are doing some great work, but I think this is a section of Facebook that has missed their attention. These concepts are based on the DailyUI challenge - however, I just do not have the time to complete a challenge every day. Client work comes first! So, when I do have available time I will aim to complete a challenge.